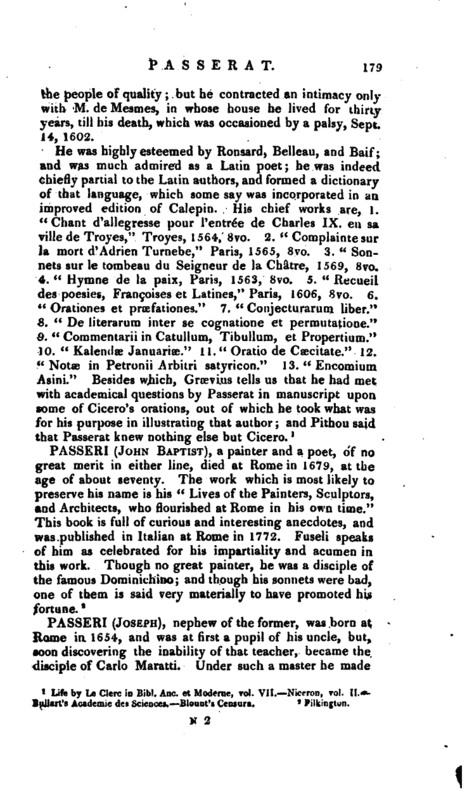 , a celebrated professor of eloquence in the royal college at Paris, and one of the politest writers of his time, was born Oct. 18, 1534, atTroyes in Champagne. His uncle, who undertook to educate him, placed him at the college of his native city, where some harsh conduct of his master induced him to run away. Arriving at Bourges, he entered first into the service of a farrier, and afterwards waited upon a monk; but, growing in time sagacious enough to see his folly, he returned to his uncle, who pardoned him, and maintained him for three years at college, where he proceeded in his studies with so much diligence, that he became in a short time able to teach irv public. 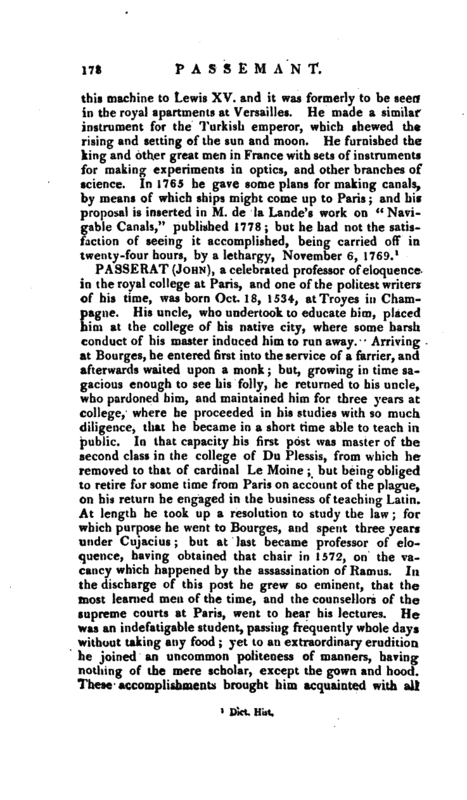 In that capacity his first post was master of the second class in the college of Du Plessis, from which he removed to that of cardinal Le Moine but being obliged to retire for some time from Paris on account of the plague, on his return he engaged in the business of teaching Latin. At length he took up a resolution to study the law; for which purpose he went to Bourges, and spent three years under Cujacius; but at last became professor of eloquence, having obtained that chair in 1572, on the vacancy which happened by the assassination of Ramus. In the discharge of this post he grew so eminent, that the most learned men of the time, and the counsellors of the supreme courts at Paris, went to hear his lectures. He was an indefatigable student, passing frequently whole days without taking any food; yet to an extraordinary erudition he joined an uncommon politeness of manners, having nothing of the mere scholar, except the gown and hood. These accomplishments brought him acquainted with all | the people of quality but he contracted an intimacy only with M. de Mesmes, in whose house he lived for thirty years, till his death, which was occasioned by a palsy, Sept. 14, 1602. Life by Le Clerc in Bibl. Anc. et Moderne, vol. VII, —Niceron, vol. II. Bu Hart’s Academic des Sciences, Blount’s Censura.